I recently participated in an article for Winsight Grocery Business, which discussed the importance of keeping refrigeration and HVAC systems in harmony. Click here to read the full article. Refrigeration and HVAC costs are among the biggest operational expenses a supermarket faces. The reasons? People create warmth. Refrigeration creates cold. Humidity creates wetness. And in supermarkets, HVAC systems constantly struggle to maintain the right temperature and humidity for people, equipment and products. With proper management and planning, supermarket operators can balance these factors and even optimize HVAC and refrigeration systems to work in coordination with each other. 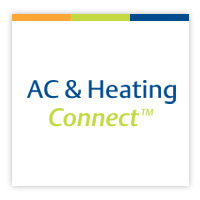 In most buildings, the job of an HVAC system is to maintain a comfortable indoor temperature for customers and staff. But HVAC systems face unique challenges in supermarkets. Coolers, refrigerated display cases, freezers and other units (particularly those without doors), pour cool, dry air into stores. This isolated cold air stresses HVAC systems year-round, as they have to increase heating during winter — burning a lot of energy — while leaving uncomfortably cold spots, even in summer. Your refrigeration equipment alters an HVAC load in ways most systems aren’t designed to handle. Adding doors or replacing open units can reduce both the load and energy costs. But adding doors creates a different problem: they often fog up — which forces shoppers to open the doors to see what’s inside — defeating the whole purpose of having a door. Fog and frost occur when humid weather, steamy shoppers and chilly air collide. Door fogging is a symptom of a very tricky problem: keeping in-store relative humidity (RH) at the proper percentage. If humidity is too high, doors fog over and cooling coils frost up, forcing units to overwork. If the humidity gets even higher, water can condense on floors, walls and even dry-goods packaging. But if the RH is too low, the overly dry air can shorten the shelf life of fresh produce or wilt it. Almost all the humidity inside a store comes from moister outside air, and it’s up to HVAC systems to lower that humidity to a slightly dry 45 percent RH — and that’s not easy. The simplest way to do this is to super-chill incoming outside air, because as air cools, its humidity drops. But this wastes energy in two ways: it increases the refrigeration load on the HVAC and can chill the entire store. So, the air first has to be reheated before entering the store, producing yet another energy expense. Another option to use a desiccant system in the HVAC unit to remove moisture. These systems are effective and reliable, but they require a lot of energy, especially for large spaces like supermarkets. The article describes a simpler, cheaper solution. The compressors on your refrigeration equipment generate a lot of heat as they compress refrigerants. This excessive heat is usually vented outside the building, wasting a source of free heat. Today, systems can recycle, treat and mix this hot air to create ideal store temperatures and RH — at much lower overall costs. Advanced systems harvest excess hot air in various ways. Some use the hot vented air instead of the HVAC heater to reheat super-cooled, dehumidified air and reduce reheating costs. Some systems use heat exchangers to recycle the vented hot air to heat a supermarket during cold weather. “Single-path” systems super-chill a limited volume of humid outside air to dry it, then mix it with uncooled air to produce just the right temperature/RH mix. Another system uses two cooling coils, one to cool the hot air as it’s being vented outside, so it can mix with outside air to reach optimal temperature and RH. The incoming air needs little heating or cooling as it reaches the second coil, which greatly reduces the workload on the HVAC system. Instead of adding to your HVAC system’s workload, your refrigeration equipment can actually help reduce the load, lower your costs, and create the ideal climate for shoppers, employees and facility managers. Today’s c-store operators are deploying facility management control systems to meet customer demands for eco-friendly initiatives and improve energy efficiencies. This blog is based on a recent article that described how United Dairy Farmers utilizes Emerson’s Site Supervisor to achieve these goals. Appealing to eco-conscious consumers is driving c-stores to implement more sustainable practices. From product offerings and water usage to lighting and energy consumption, c-stores are instituting numerous environmentally friendly initiatives, which are not only attracting customers but also reducing operating costs. United Dairy Farmers (UDF) has experienced the benefits of this strategy firsthand. With nearly 200 locations in Ohio, Kentucky and Indiana, UDF’s commitment to energy efficiency has produced dividends to their bottom line. This initiative began nearly two decades ago when UDF’s engineering consulting firm, Springridge Partners, installed an Emerson control system in each store to monitor the performance of HVAC, refrigeration and lighting systems. The control systems were set up to alert UDF store managers of any operational concerns, allowing them to take fast preventative maintenance actions and avoid full system failures — thereby saving on product loss, energy and labor costs. By creating refrigeration setpoints and alarms, store managers receive alerts when a refrigeration system is not operating properly. For example, if case temperatures exceed setpoints, the control system sends an alert to the store manager and maintenance staff, who can then dispatch the appropriate personnel to fix the issue. If compressor temperatures rise or the amperage increases over a short period of time, the system sends alerts of potential compressor failure, giving managers the opportunity to proactively replace it before a downtime incident occurs. The control system allows UDF and Springridge Partners to determine how much energy the chain is using and make necessary adjustments. One of the first efficiency initiatives they implemented was upgrading the stores’ lighting fixtures to all-LED lighting. Each upgrade of an older UDF store from T-12 florescent lighting to LED delivers nearly 75 percent savings on lighting costs. LED lighting upgrades also reduce associated maintenance and labor costs because lights don’t have to be changed nearly as often. Recently, UDF upgraded to Emerson’s new Site Supervisor facility control platform in its newest store location in Sharonville, Ohio. This upgrade allows UDF to remotely view the store’s energy usage and investigate consumption variances in real time. Technicians can simply log in to see what’s happening at the store, and then talk to the store manager to decide whether they need a service call. This process also allows employees to make the best use of their time instead of responding to a false alarm. “The new Emerson Site Supervisor is a continuation of our strategy to integrate technology into our operations. This particular technology will allow our team to be more proactive in addressing issues before they become emergencies, and it allows us to maintain the quality of our products at a very high level,” said Brad Lindner, UDF’s CEO. What’s more, the system is expected to assist UDF in its plans to implement further reductions in energy usage across its operations. “By allowing our team to analyze the trend data, we are able to make intelligent decisions regarding setpoints, equipment selections and food quality. We will continue to look for new ways to leverage technology in other areas of our business to increase both awareness and engagement of our staff as a whole,” Lindner said. Learn more about Site Supervisor and its capabilities to see how it can drive energy efficiency in your operations. Emerson recently completed a research study of leading food retailers to better understand their refrigeration system selection criteria. This blog is a synopsis of those findings. Amidst these many changes, refrigeration systems have also evolved to align with modern supermarket operator preferences. To better understand how these preferences are impacting selection criteria, we recently completed a research study of several leading food retailers. We asked them which factors they feel are the most important when considering the implementation of new refrigeration systems. Simple — Operators are seeking to minimize complexities by using systems that are easy to understand and diagnose. Many associate system simplicity with reliability and believe it can be achieved with fewer moving parts, traditional system architectures and proven refrigeration strategies. Serviceable — Technician familiarity is important to facilitate ease of service and maintenance activities, and to ensure the availability of parts and refrigerants. Engine rooms should be located away from customers and be relatively easy to access. Secure — Maintaining customer, employee and technician safety while preserving food quality and safety are always top priorities. With many operators now integrating IoT technologies for more effective facility and enterprise management, securing proprietary operational data is also critically important. Operators seek system architectures that can address these multifaceted safety and security concerns. Stable — Grocers consistently cite system stability and reliability as primary selection criteria. Systems should be capable of maintaining consistent temperatures, delivering predictable performance, and working according to design specifications. Smart — Electronic controls, system connectivity and integration with facility management services via IoT are becoming more important to modern supermarket operators. They’re evaluating self-monitoring systems that give store managers immediate access to issues, allowing them to take prompt actions to protect shoppers, preserve their brands and prevent unnecessary service calls. Sustainable — For those supermarket operators driven by corporate sustainability objectives or regional regulatory requirements, the push toward lower-GWP refrigeration strategies is continuing in earnest. Sustainability also speaks to the long-term economic viability of the refrigeration selection, as operators must factor in the total cost of ownership throughout the lifecycle. Reducing energy consumption to minimize operating costs is a concern shared by all. As refrigeration technologies evolve in response to changing market dynamics, look for emerging system architectures that align with these selection criteria. Emerson is addressing the six S’s of supermarket operator concerns by innovating new systems that blend pieces of proven architectures — borrowing from what has worked in the past and improving upon existing technologies. Stay tuned for more information on these new system strategies in the months to come. The 2019 AHR Expo (International Air-Conditioning, Heating, Refrigerating Exposition) Innovation Awards winners have been announced, with Emerson taking home the hardware for its Copeland Scroll fractional-horsepower, low-temperature compressor in the Refrigeration category. Emerson’s Supervisory Controls were also recognized as finalists in the Building Automation category. Winners of the AHR Expo Innovation Awards were selected by a panel of third-party American Society of Heating, Refrigerating and Air-Conditioning Engineers (ASHRAE) member judges who evaluate all award entries based on innovative design, creativity, application, value and market impact. Award entry fees are donated to an organization in need of HVACR repairs, upgrades or installations, giving all competitors something to root for, whether they win or lose. The Copeland Scroll fractional-horsepower, low-temperature compressors utilize liquid-injection technology and cooling discharge temperatures to help reduce compressor stress and meet federal regulatory requirements. Ensuring compliance with EPA and DOE regulations and granting compatibility with environmentally conscious refrigerants allow facility managers to meet energy and sustainability goals while simultaneously lowering their collective footprint without having to sacrifice productivity or efficiency. The Supervisory Controls platform provides building and system management, control, power and simplified operation for refrigeration, HVAC, lighting and more. By collecting, analyzing, reporting and communicating performance history and metrics like energy usage, HVAC discharge and space temperatures, facility managers can quickly respond to issues that may impact customer experiences, food safety and operating costs — all from the convenience of their desktop computers or mobile devices. Both products are geared toward helping customers stay ahead of the curve and adapt their operations in a rapidly changing industry without having to completely overhaul their operating structures and systems. High-efficiency equipment like the Copeland Scroll fractional-horsepower, low-temperature compressor and supervisory controls can help improve operations, mitigate risk, save money and further sustainability efforts. Emerson will continue to develop new products to meet customer needs and strive to refine current products to help customers realize their most optimized and reliable operations to date, while still addressing compliance concerns and sustainability goals. Emerson is honored to be recognized by the AHR Expo panel of judges for our work and want to congratulate the other winners and finalists.